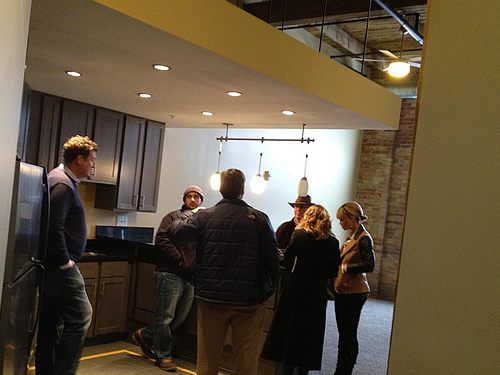 This week, D. took a tour of the new StandArt Lofts. 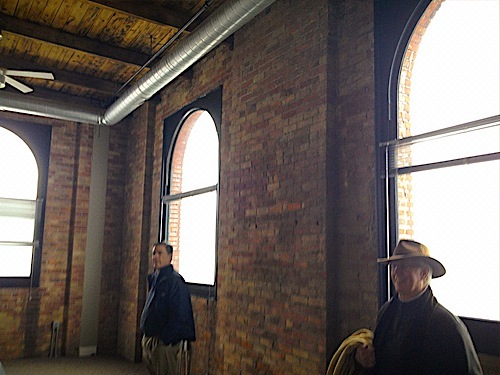 The rectangular shaped building, which you may have noticed when driving into Downtown from The Trail or I-75, was built in 1906 for Standart-Simmons Hardware Co.
More than a 100 years later, this building has been converted into fantastic apartments… with some serious ceiling height! 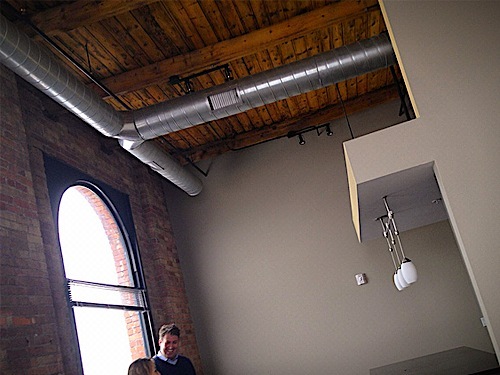 The windows and exposed brick look great. 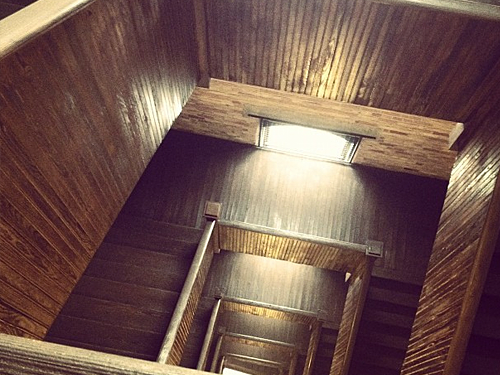 I love D.’s shot of the staircase. No worries, the building has elevators… which is more than I can say for most of the buildings where I lived in NYC. That’s luxury!